This route is part of a story – Best Road Trips from Bangalore. Click image below to check other routes. Here’s a visual guide on likely encounters along this route. 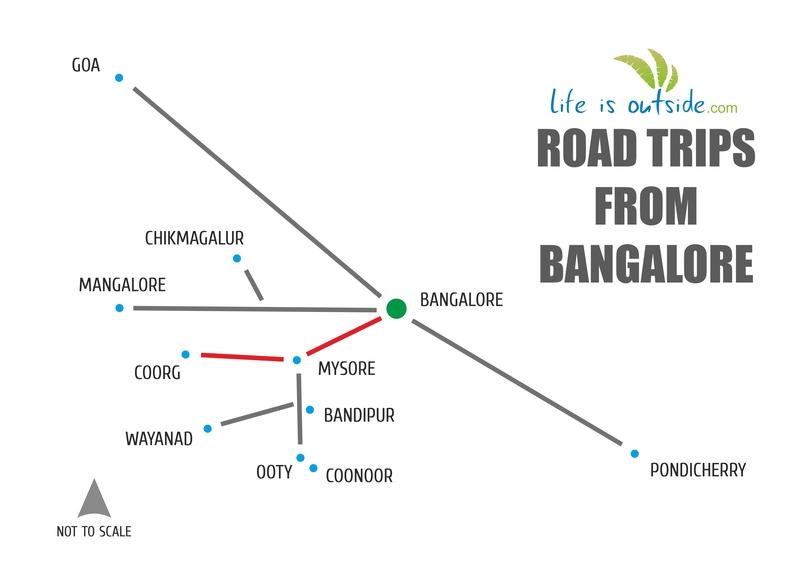 The route leading here from Bangalore is packed with activities right after crossing an outer ring-road corridor connecting the city around. 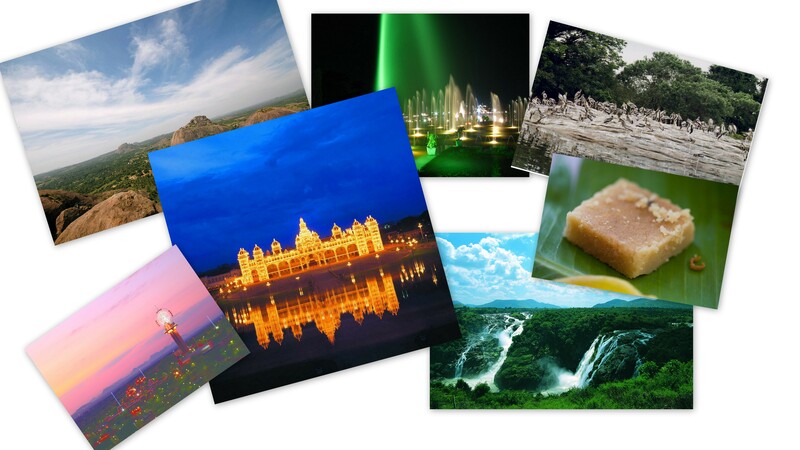 Several landscapes range from man-made attractions to natural rock clusters, slowly blending into lush fields ending in palacial architecture. A railway line up to Mysore running along the highway for the most part might add a little joy. For a detailed drive through from Bangalore to Mysore including attractions, highway eats, trivia and travel tips , check the link below. Past the city, one will notice the landscape transitioning to wild forest cover and then to coffee, tea and spice plantations. Approximate driving distance on the closest route would be 251 kms* through Mysore SH17 and Kushalnagar SH88. 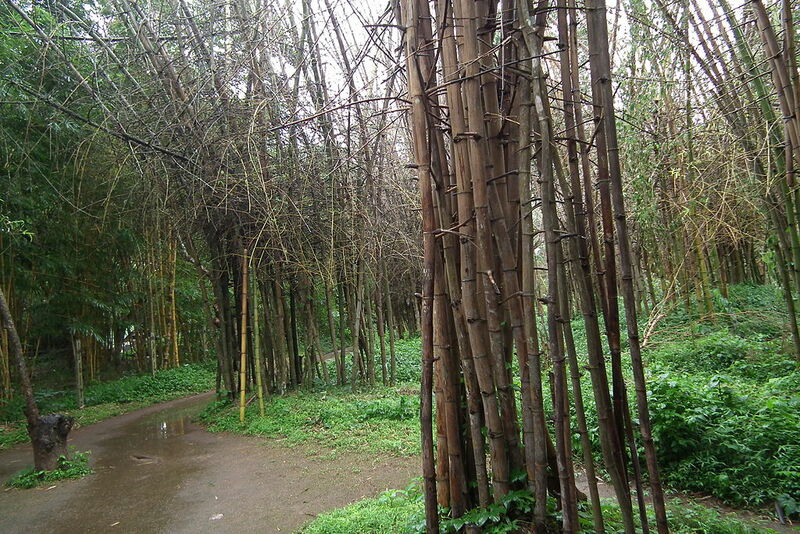 On the route, approaching Coorg district, wild bamboo and other grass enter the landscape. Wildlife and nature lovers have a handful of options – the camp in Dubare, known previously as an elephant training site for Dusshera, provides opportunities to get up close with elephants, clean them and go for a ride. 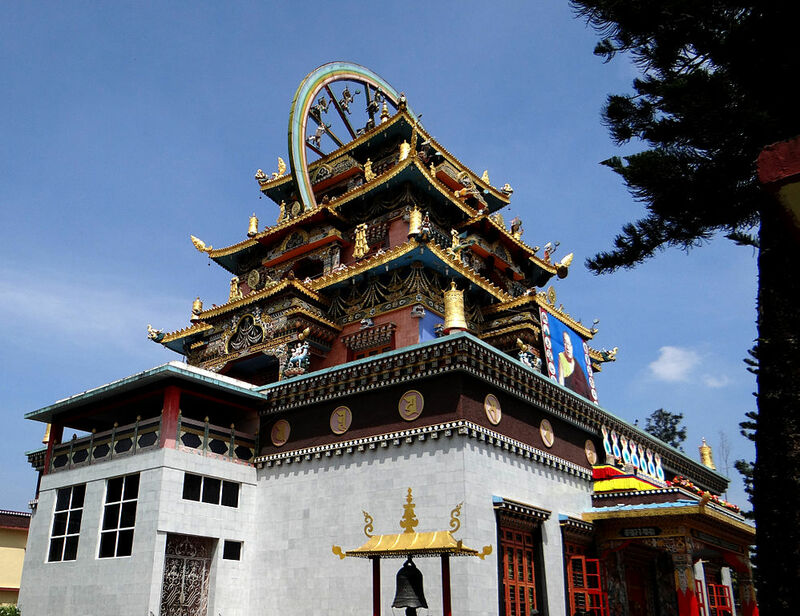 Immerse yourself in Tibetan culture at Namdroling Monastery in Bylekuppe, the largest Nyingmapa teaching centre in the world, home to a sangha community. Main attraction here is the golden temple. The complex also has other temples, a nunnery, lodging for monks and souvenir shops. A Protected Area Permit (PAP) is required for access to certain parts of the complex and to spend the night at the monastery. Nisargadhama near Kushalnagar, is an island on river Cauvery with bamboo groves, an orchidarium and small birds and animals. Accessible via a rope bridge, this is a desired picnic spot for locals and tourists alike. Coffee and spice plantations begin their appearance here onwards along ghats up to Madikeri. The district of Coorg has numerous pastures spread across which offer great golfing experiences. Put the greens at Coorg Golf Links at Tata plantations in Bittangla or Mercara Downs Golf Club in Gaalibeedu village. Alternately, Eagleton Golf Resort in Bidadi, closer to Bangalore offers golfing packages. Alternately, going through Nagarhole and Gonikopppal 311 kms*; one could spend more time on the road. 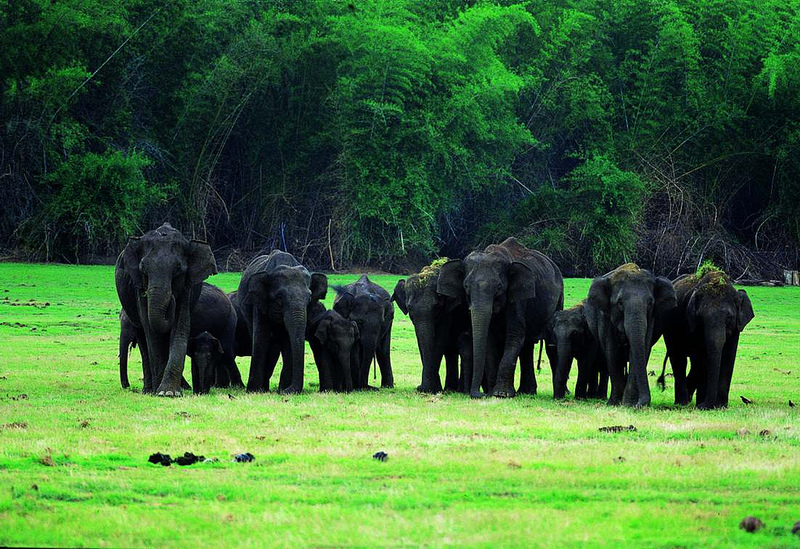 Part of Nilgiris biosphere, Nagarhole Wildlife Sanctuary (06:00 – 18:00 hrs), a Project Tiger reserve, has an abundance of animal and plant activity. Considered the best kind of habitat for Asiatic elephants, it is closed during mating seasons and certain days of monsoon. 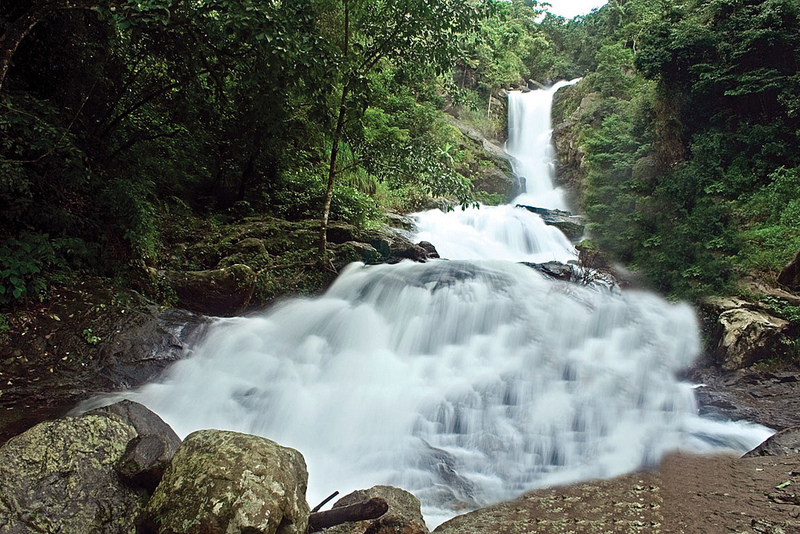 At the foot of Brahmagiri peak, is Iruppu waterfall bordering the district of Wayand in Kerala. Access is through a short walk. The adventurous could follow the forest trails, trek and camp atop Brahmagiri Wildlife Sanctuary; you will need permissions and a guide from the forest office at Srimangala closeby. Furthermore, Kabini Reserve Forest has lush vegetation, easy access and year round activity as pointers which make it the best destination for wildlife in the state. These were once private hunting grounds for erstwhile royalty of Mysore, British viceroys and Grand Dukes of Russia. A very rich diversity of flora and fauna, some endemic to this region, attracts wildlife enthusiasts across the globe. Realising that most sightings and animal activity happen near the river, a number of resorts have sprung up along the banks of Kabini. Being a popular route, good number of fuel stations and washrooms are present all along. 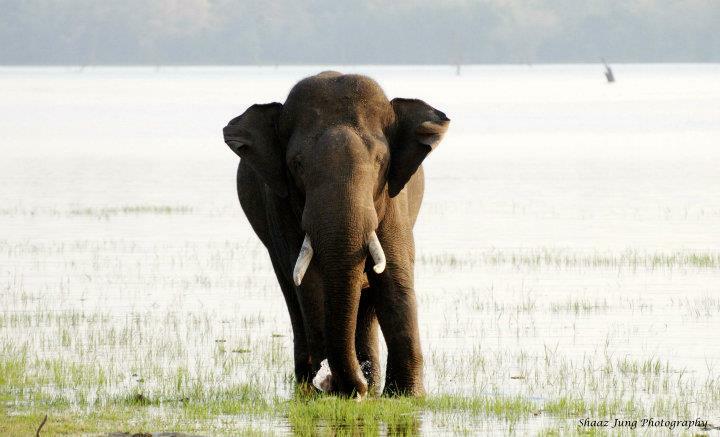 If you choose to drive through Nagarhole Wildlife Sanctuary, plan to reach by sunrise for wildlife sightings. This route is suggested on the way to Madikeri with return via Kushalnagar. On SH88, your drive/ride could extend to Mangalore with rewards in the form of scenic grasslands, rubber, arecanut and jackfruit plantations between teak forests. A gradual shift in styles of architecture and cuisine; dialect and weather is noticeable as you head towards the coast. LifeIsOutside has a collection of hotels, resorts, homestays and camps amidst plantations and jungles on this route. Explore Places To Stay In Coorg. 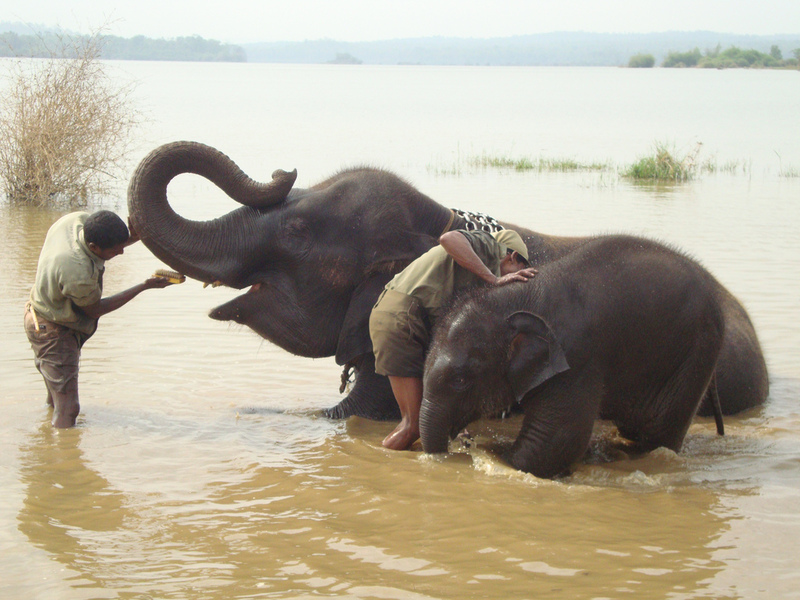 Explore places to stay in and around Nagarhole and Kabini.